Stay warm and safe out there! Crews are busy clearing snow, but the temperature isn’t going to improve anytime soon. It could be -34 C on Tuesday, with a wind chill of -46 C.
Dale McPhee was sworn in as Edmonton’s 23rd police chief at a ceremony at City Hall on Friday. “Our crime rate has been far too high for far too long. We need to take this personally,” he said. EEDC said on Wednesday that it lost $375,000 in a “fraudulent financial transaction” and that it was working with authorities and legal counsel to try to recover the funds. The next day, Council’s Audit Committee voted to ask the City Auditor to audit EEDC this year rather than waiting until 2020 as previously planned. The casino at Northlands Park closed on Friday. It opened in 1996. The slot and gambling machines will be refurbished and used at Century Mile Entertainment Centre near the Edmonton International Airport when it opens later this year. The City of Edmonton is now enforcing the Animal Protection Act “on an interim basis” after the Edmonton Humane Society decided it would no longer be able to provide the service. New plans for the Imagine Jasper Avenue project include “wider sidewalks lined with plant beds and canopy trees, as well as seating areas and shelters at every bus stop.” Work is expected to begin this fall and will last into 2022. In Episode 23 of Speaking Municipally we discuss the Commonwealth Walkway, open data and FOIP, and accessibility at LRT stations. According to Capital City Clean Up, about 45% fewer needles were found on public property by City crews last year compared to 2017. The deadline to nominate someone for the 2019 Mayor’s Awards for championing inclusivity is March 8. The YouthfulCities 2019 Urban Work Index will launch on Monday monring at TEC Edmonton. February 5 is Toque Tuesday! The Oilers host the Blackhawks on Tuesday and the Sharks on Saturday at Rogers Place. Wednesday is Winter Walk Day and Friday is Winter Bike to Work Day. The Local Good presents Green Drinks: Reconciliation on Wednesday evening at Yellowhead Brewery. Justin Timberlake performs at Rogers Place on Wednesday and Thursday evenings. The North Central Teachers’ Convention takes place Thursday and Friday at the Edmonton Convention Centre. The Edmonton RV EXPO & Sale runs Thursday to Sunday at the Edmonton EXPO Centre. The Silver Skate Festival kicks off on Friday! The Canadian Birkie Ski Festival runs Friday to Sunday. Pecha Kucha Night 33 takes place on Friday evening at the Royal Alberta Museum. Celebrate Lunar New Year and the “Year of the Pig” on Saturday starting at 11am in Chinatown (near Pacific Rim Mall). I’m really excited for How Nature Shapes Us on Saturday afternoon, a collaboration between Let’s Find Out and Taproot Edmonton. 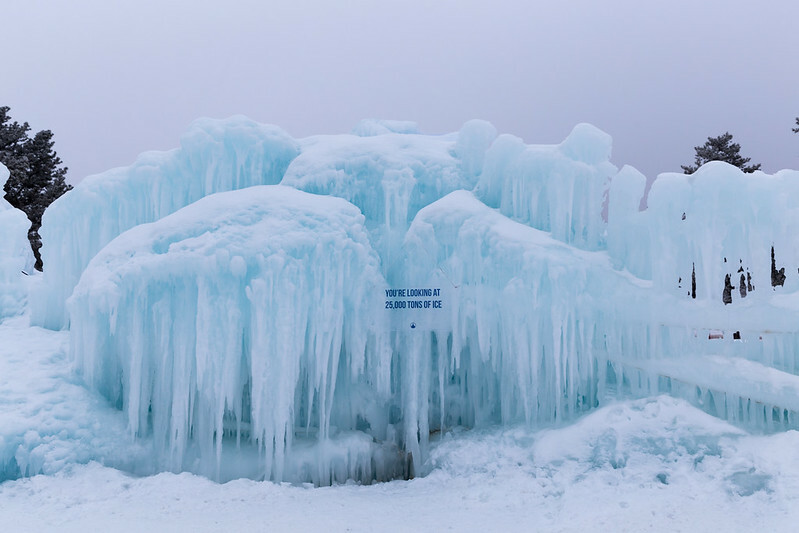 Ice Castles Edmonton runs until March, weather permitting, in Hawrelak Park.